Engine problems can appear slowly, beginning with just a little tapping sound from under the hood or a flickering oil light on the dash. Or they can show up all at once, with a loud “bang!” and a sudden loss of power. However it shows up, engine problems are a big deal, and they’re a type of problem that many shops avoid. That’s okay, because there’s one place you can always count on to help you with your engine problems: Flint, MI Cottman. We’re total auto care experts, and we’re happy to provide whatever you need to take care of your engine problem. Sometimes that might be something relatively simple, like a new oil pressure sender or a freeze plug. And if that’s the case, we’ll get it taken care of quickly and get you right back on the road. Other times you could be facing something much more involved. In some cases your best choice is the one you’ve been dreading: replacing the engine. If that’s the case, your friends at Flint, MI Cottman are here for you. 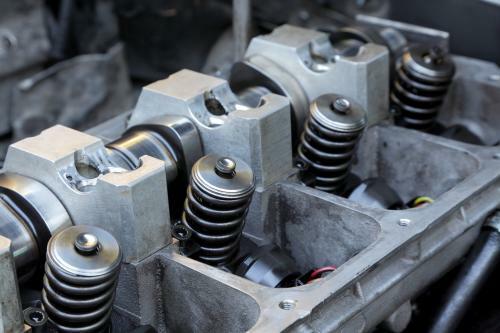 We have experience in engine replacement and the resources to provide you with an engine that’ll fit your car… and your budget, whether that’s a fully rebuilt and warranted replacement engine or a good used engine from a reputable salvage yard. Whatever your needs, we’re here to help. We’ll do the checks to find out what’s available, and we’ll help you choose the best repair solution for your car or truck. And we’ll do our best to get your car fixed and back on the road quickly. So if your car’s engine is starting to act up — or if it suddenly gave up the ghost! — you can trust your friends at Flint, MI Cottman to get you fixed and on the road again in no time. Call today!